President Vladimir Putin said on Tuesday that the subject of Crimea's reunification with Russia was closed as the local residents had clearly expressed their will on the future of the peninsula. SEVASTOPOL (Sputnik) — Vladimir Putin declined to comment on Ukrainian President Petro Poroshenko's remarks that the Russian president should have coordinated with Kiev his current trip to Crimea. "I am not going to make any comments on this issue, because the future of Crimea has been decided by people who live on this territory," Putin told reporters. "They have voted for the reunification with Russia. Period." Putin stressed. 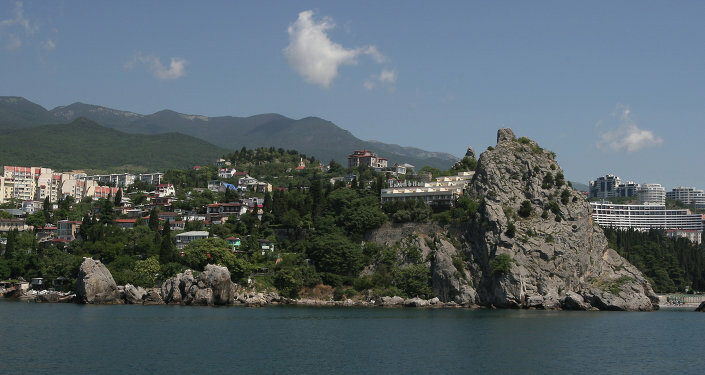 Crimea seceded from Ukraine to reunify with Russia in March 2014, following a referendum in which 96 percent of the voters supported rejoining Russia. Most world powers, including Ukraine, the United States and the European Union did not recognize the legitimacy of the referendum and stated Crimea was "annexed." Following Crimea's reunification with Russia and the escalation of a crisis in eastern Ukraine, the West accused Russia of meddling in country's internal affairs and introduced several rounds of economic sanctions against Moscow. Russian President urged the all sides and the intermediaries in the Ukrainian conflict to minimize losses on the way to peace in the crisis-hit country. "There is no alternative to the Minsk-2 accords, and peace will certainly prevail in the end," Putin told reporters during his current trip to Crimea. "Our task is to minimize losses on the way to this peace," Putin stressed. "I hope it will never come to large-scale clashes [between Kiev-led forces and Donbas militia]," the president added.